We lament the inability of the social sector to scale, but we do not support organizations to innovate on a continuous basis. We know that acceptance of failure is an essential part of innovation, which in turn is required for a successful outcome. Yet we do not bridge the gap. This article presents the perspectives of two sector leaders: Rohini Nilekani, philanthropist, social entrepreneur, and writer; and Kyle Zimmer, award-winning social entrepreneur and Schwab Foundation Fellow. We hope it will spark further conversations within the sector. What is the impact of the lack of recognition of failure for the sector? Rohini Nilekani: Societal change is very complex; it requires system change and the distribution of agency. The path to change at scale needs many experiments, much innovation. Naturally, some ideas will not work on the ground. For the social sector, recognizing failure early, acknowledging one’s personal and institutional role in it, and then embarking on course correction is very critical. Kyle Zimmer: Without innovation, there is no hope that the social sector will design big enough solutions to conquer the problems at hand. Local and regional efforts are noble but, the problems we confront require fully-scaled systemic solutions – and scaling at that level requires innovation. Innovative organizations, by definition, will experience a higher failure rate – but these are precisely the organizations most likely to deliver significant results. The lack of transparency regarding failure in the sector destroys this critical link between innovation and scaling and undercuts the entire sector. This often means that flawed strategies are replicated and iterative improvements are delayed. This defeat for the social sector has profound consequences for the resolution of issues around the world. Why does this lack of recognition of failure exist in the social sector? Rohini Nilekani: Funding is so closely tied to the vision of success that social organizations are forced to find ways to claim success, not necessarily for societal outcomes but for continuity of funding. There is also competitive pressure between organizations to show the greatest return on philanthropic capital so talking openly about failure isn’t often possible. The stage of failure also matters a lot. In the early startup phase of an organization, failure can be a badge of honour, and high risk-taking is considered heroic. So failure is talked about without shame. When organizations grow, they hesitate to share failures. By then, a culture has often developed where people are supposed to succeed in their tasks. So, when things go wrong, each person or unit keeps it quiet, creating huge organizational risk. Organizations have to learn to build a culture of admitting failure and acting upon it quickly. It’s also critical to then decide whether to abandon a particular course of action. Otherwise there is a danger of “escalation of commitment”. People can double down on some wrong action – hoping to do better next time, or because they are too scared to turn back. Yet, every failure represents a choice made and is an opportunity for everyone in the ecosystem to learn. As philanthropists, we need to create spaces for organizations to share their failures without a negative impact on funding, and on society as a whole. Kyle Zimmer: The design of the social sector is significantly to blame for this issue. In the for-profit sector, failure is acknowledged as a part of the game. "Failing fast" is celebrated. But failure in the social sector is a different beast. Social enterprises are constantly under significant financial pressure. This ignites the inclination to enhance successes to their philanthropic partners – and to downplay failures. 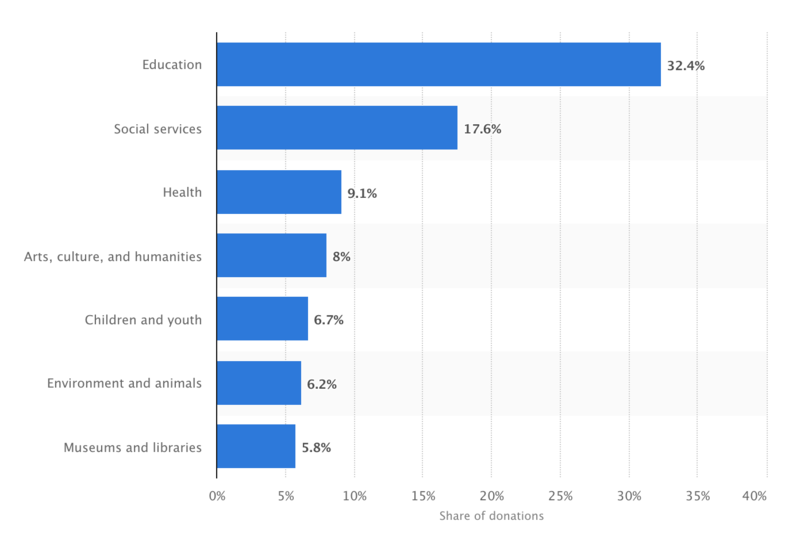 On the other side of the equation, philanthropists and corporate funders make significant investments into social sector organizations, so they have pressures of their own. It is difficult to learn that a significant investment has not generated the hoped-for impact, but this perspective does not recognize the invaluable nature of failure. Quite simply, failure teaches you what not to do – so that you can stop doing it. Without a few major failures some of the world’s finest minds would still be knocking around chasing fruitless theories. This dynamic has been at the heart of every major scientific or inventive effort around the globe. Thomas Edison, the Patron Saint of Failure, famously said, after his 10,000th failure at finding a filament material for the electric light bulb: “I have not failed. I've just found 10,000 ways that won't work.” We have to make room for this thinking in our sector. What can philanthropists/funders do to help solve this issue? What can social entrepreneurs do to help solve this issue? Rohini Nilekani: As a philanthropist myself, I can also be bolder in pointing out the failure to understand failure! I would say philanthropists, who are usually successful entrepreneurs in their own right, find it quite easy to take big risks in their business. They do not expect guarantees of success. But many philanthropists find it very difficult to allow social entrepreneurs the same bandwidth for risk. So money is spread too thin, or pulled out too soon, or success declared too early. Many serious givers, including my husband Nandan and I, have realized that if we are going to have serious impact, our approach must be seriously different. We need to collaborate more, pool resources and experience, and take bigger risks while learning to trust social sector leaders more. Kyle Zimmer: The philanthropic community is the key to this process – because financial pressure overwhelms most non-profits. For this reason, corporations, foundations and individual philanthropists have to set the stage at the beginning: that they value transparent results – positive and negative. They have to communicate their openness to the risk of innovation and they must be thought partners to iterate the next wave of refinements – and leverage the impact of their investments. On our side, social entrepreneurs must manage expectations – and address the risks of innovative approaches. It’s important to keep funders apprised throughout the process – of what is being accomplished and issues that arise. Social enterprises need to refine our articulation of mission and impact. We need to fearlessly analyze the data to reveal what works and what does not – and why. The elevation of data is a very hopeful step. There is also a leadership role for institutions like the Schwab Foundation and the World Economic Forum (WEF). If we are serious about social and environmental change, we must address these issues from the main stage – with all parties present. WEF is a rare forum to advance the dialogue. Are there any hopeful developments? Rohini Nilekani: I think Indian philanthropy is at an exciting stage; it is continually evolving, together with the ecosystem of giving. With rapid and concentrated wealth creation, the spotlight is on what that wealth is doing for the country. Serious philanthropists are investing more capital to tackle bigger, complex problems through mutual trust and collaboration; technology and data platforms; and most importantly – with an approach to distributing the ability to solve across samaaj (civil society) bazaar (markets) and sarkaar (the state). We call this "Societal Platform Thinking". For example, some of us, led by the Tata Trusts, have come together to form the India Climate Collaborative. Some of us have pooled resources to set up the IPSMF (Independent and Public Spirited Media Foundation). Globally, we have the Audacious project and also Co-Impact, which is a global philanthropic collaborative, backing a few attempts at population-scale social change. These are new and welcome developments. Now we must be seriously ready to encounter failure and minimize externalizing the cost to society. Kyle Zimmer: Yes, there is a small, but growing segment of enlightened philanthropists who are supporting discussions around failure. This is critical. On the social sector side, Kristine Pearson, the CEO of Lifeline Energy, and I have initiated a practitioner-driven campaign to identify barriers in the social sector field – including the issue of failure as we work to scale solutions. We will be reporting on these efforts soon. Rohini and I are hopeful that these two efforts can meet in the middle.